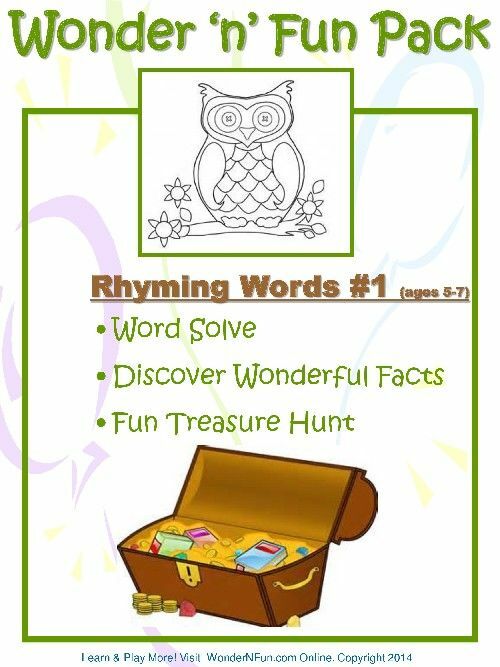 Fun and educational kids rhyming words #1 worksheet, fact discovery, and treasure hunt covering the material. For approximately ages 5-7 with some flexibility as learning abilities vary. Comes with eight (8) printable clues, simple and quick to set up, and exciting to play. Perfect for the classroom, home schooling, and everyday fun. Only $7.99 Instant download. Props or Pictures You Must Have On Hand to Hunt For: Clues lead to a clock, spoon, bear, pen, moon, chair, rock, and hen.